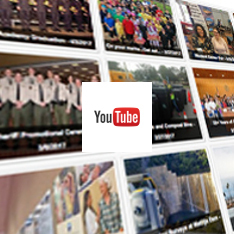 Welcome to the Ventura County Sheriff’s Office’s official website. It is my goal that this site gives you insight into what we do as an organization, who we are as members of the community, and what employment with our agency would be like. It is also my hope that this site provides answers to many frequently asked questions and affords you the opportunity to communicate with us on issues the website may not address. Our agency prides itself on fostering a culture of excellent service and I believe this website reflects that culture. 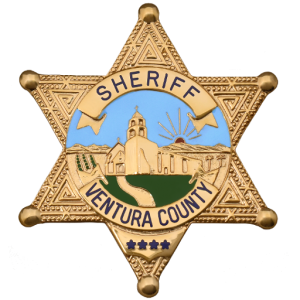 We, the members of the Ventura County Sheriff’s Office, are committed to safeguard the lives and property of residents of Ventura County and respond to public concerns in a manner which promotes neighborhoods free from the fear of crime. Our strategy for accomplishing this mission is to preserve the peace, prevent crime, apprehend offenders, facilitate problem solving community partnerships, enforce laws, provide secure and humane detention for persons lawfully entrusted to our care and display empathy and respect for the dignity of all individuals. Men and women diverse in skills but unified in purpose. This is the essence of the Ventura County Sheriff’s Office. Our commitment to the security and safety of Ventura County residents is steadfast, and permeates our department strategy. Since 1873, the Sheriff’s Office has honorably served Ventura County and, in partnership with our citizenry and other public agencies, has made our county one of America’s safest. This devotion to duty continues to be our legacy to Ventura County. Safeguarding the lives and property of Ventura County residents is our mission. At the heart of our strategy for accomplishing this is our front line uniformed deputies and dedicated professional employees. 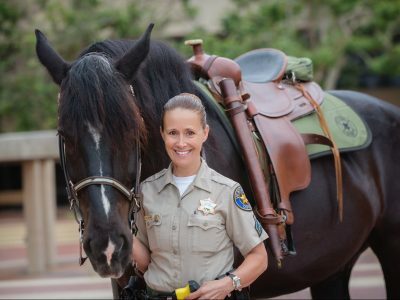 The Ventura County Sheriff’s Office is staffed by approximately 1,250 personnel, including allocations for more than 750 sworn positions. Ventura County covers 1,882 square miles, stretching from beaches to rugged mountains. Over 850,000 people choose to call Ventura County home. Five of the county’s ten incorporated cities (Thousand Oaks, Camarillo, Moorpark, Fillmore, and Ojai) contract with the Sheriff’s Office to provide police services. These cities, plus the unincorporated areas of the county, make up nearly half of the county’s population and ninety-five percent of its land area. The Ventura County Sheriff’s Office is an organization that develops, encourages, and maintains a high degree of teamwork and discipline. Keeping watch over all the residents and businesses in our county necessitates an integrated and cooperative operation, where the utmost individual effort is expected and demanded by others. This esprit de corps extends to the hundreds of volunteers who effectively increase our safety and service capabilities. The services provided by our department range from maintaining the county jail system to providing traditional police services, operating a regional crime laboratory, and full-service police academy. We employ many specialized units capable of responding to and resolving any incident requiring a law enforcement presence. Our department utilizes the Community Oriented Policing and Problem Solving (COPPS) philosophy, promoting proactive problem solving and police-community partnerships. 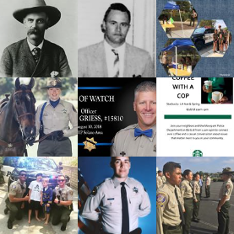 The Ventura County Sheriff’s Foundation objectives are to promote civic spirit in support of law enforcement and to enhance the ability of Sheriff’s Department employees to work even more safely and effectively. For more information, please visit the Ventura County Sheriff’s Foundation website.